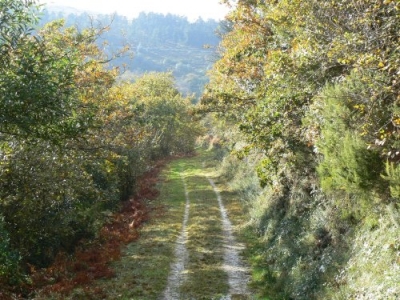 Trabada has numerous footpaths through its “fragas” showcasing their natural beauty. They can be experienced during all the year’s seasons, each one offering a different experience. When you arrive, there is a car park and an information board about the walk. This walk runs through a well preserved deciduous forest. It goes through natural and native vegetation, in which there are lots of Oaks and Blueberries. 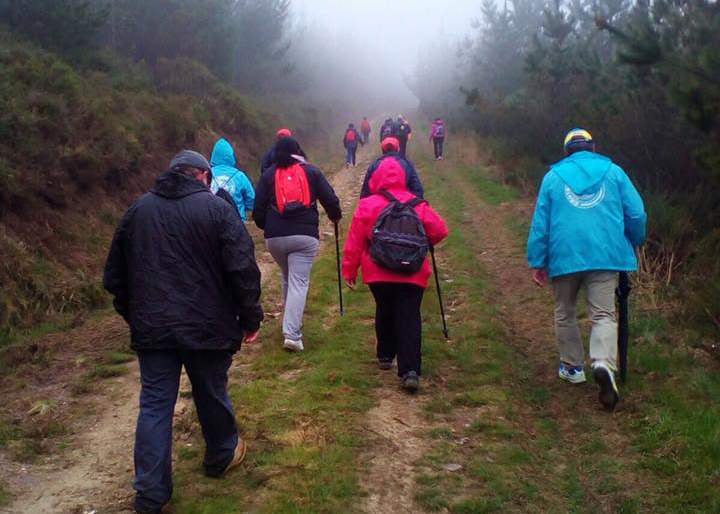 The walk starts on a path towards the Fraga de Becerreira. Once there, the trail carries on next to the Vilapercide stream and up to its source. On the way there, there are several pretty wooden footbridges that you will cross. This fraga is one of the most beautiful, because of its many springs and streams. About halfway there is a mystical spring where you can stop and imagine dark tales from the past. The wood is full of surprises with lots of fallen and rotting trees. They have a rare beauty, as well as performing a vital role in the natural life cycle. This section of the path ends in A Liñeira, where the walk leaves the stream and goes the upper part of the fraga. Here, you can see different species of trees such as Oak, Chestnut, Holly and on the ground, Blueberries. As you continue along the upper part of the walk, you go past another spring and begin to go down a windy path. This makes the descent a little easier and brings you back to the car park. The walk begins just before reaching the centre of Vilapena. Next to the bend in the road, there is a parking area with an information board about the walk. From the car park, you walk along the road through the village until you reach the church. After the church, you continue on the right, leave the village and walk to the fraga. A bit further on, the route offers two possibilities. The first one is to go into the fraga taking a track on the right. The other option is to continue straight ahead for 2km, following the track that will lead you to the top of Pena de Gorro. If you choose the latter option, you get a wonderful view of the valley with Vilaformán and Vilapena in the bottom. Once you have had a breather and taken in the view, you turn back along the path and walk west until you join the shorter walk. Here, you take the same footpath, which is now on the left and go into the fraga. In the wood, the undisputed king is the Oak, but there is also Holly, Strawberry trees and underfoot, Blueberry. If you do this route in autumn or winter, you can also sample the delicious fruit of the Strawberry trees. The path gradually becomes more windy and steeper, until you reach the point where you cross the Vilaformán stream. The walk ends when you leave the wood via a forest track and reach the car park. This route is very simple as it runs entirely on existing roads and all of them relatively flat. The landscape is interesting and you can enjoy breathtaking panoramic views from the top of Cerrochán, the highest point in the area (776 m). From this point, you can also see an old opencast mine. It is an ideal route for mountain biking or horse riding, as well as a nice medium distance walk. It starts in the picnic area “Chao do Couso”, which has a spring, several tables and a covered area. It continues along the Riotorto road for about 300 metres and then it turns left along a path that will take you to the top of Cerrochán. Once you get there, you get an excellent view of the Trabada valleys. If you carry on, there is a dense wood, in which you will feel surrounded by tranquility. As you carry on, you will come across a waterfall and a spring. Continuing along the path through the Fraga de Cabanela, you get to the point where it joins the Fraga da Vilapena walk. 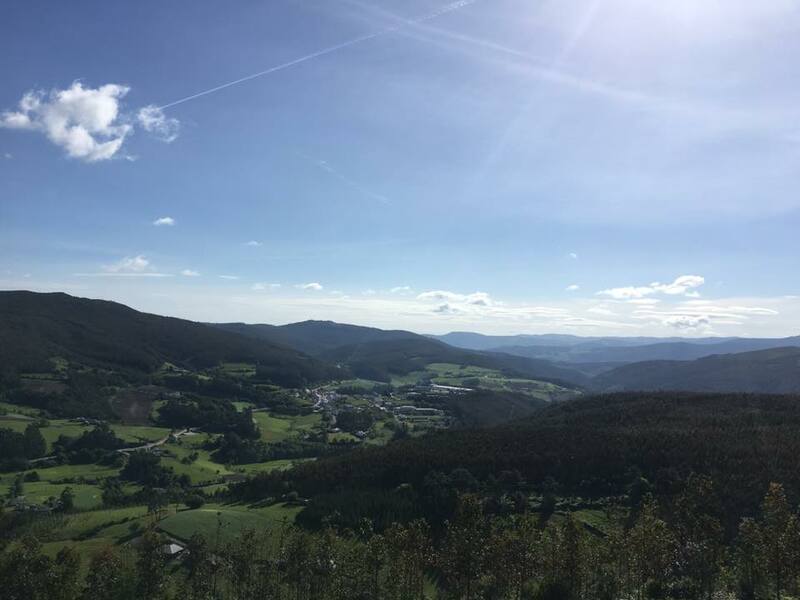 Here, there is a branch to the right that allows you to enjoy the splendid panoramic view of the Fraga da Vilapena and Vilaformán mentioned above. This alternative is optional, and it is approximately half an hour there and back. Once you have taken in the view, take the road back to the starting point. Part of this last section is shared with the Fraga da Vilapena walk. You will reach a point where the landscape gradually changes and the path opens up to a landscape transformed by the hand of man. Here, the forest is mainly Pine. And without realizing it, you are back to where you started. This walk begins in the picnic area of Chao de Couso. Take the path on the right and carry on into the woods.. The start of this route is easy, but as you gradually enter the Scots Pine forest, the path becomes steeper until you reach the top of O Picato (743 m). Once there, you can enjoy impressive views that will reward your effort. If the day is clear enough, you can see the coastline and western Asturias. Once you have taken in the view, there are 2 options for your return. One of them is shorter and runs through the Pine forest. 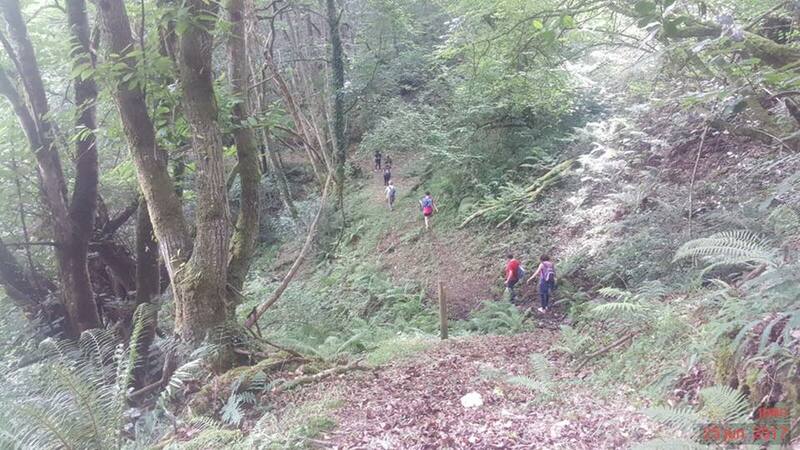 The other option is to cross near the Becerreira fraga where you get views of the typical Galician landscape. This walk is very simple. It runs along forest paths and has a variety of landscapes. On this route you get good views of Serra da Cadeira. The walk also goes through the fraga de Teixido. In the middle of the walk there is another spring after which the path starts to descend. 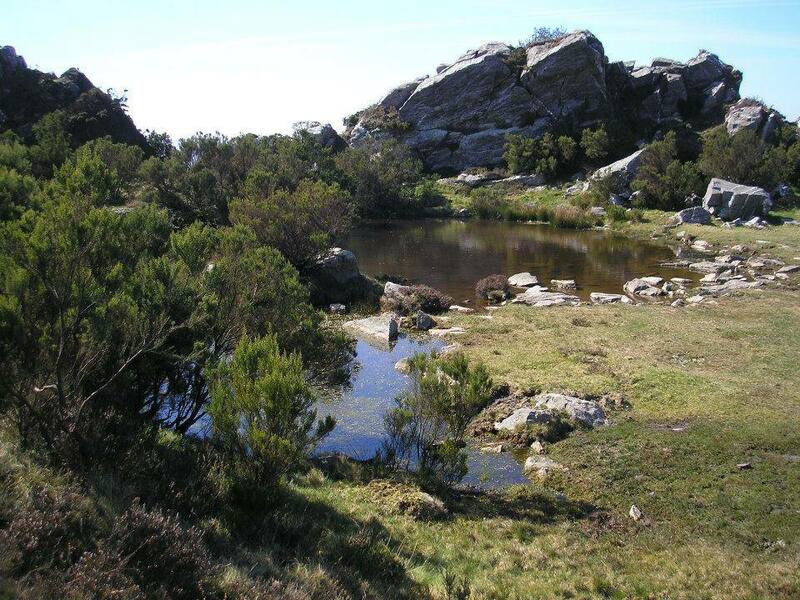 At the bottom of the slope there are lots of small parcels of land which are typical in Galicia. These are planted with Eucalyptus trees.or cultivated as small holdings.